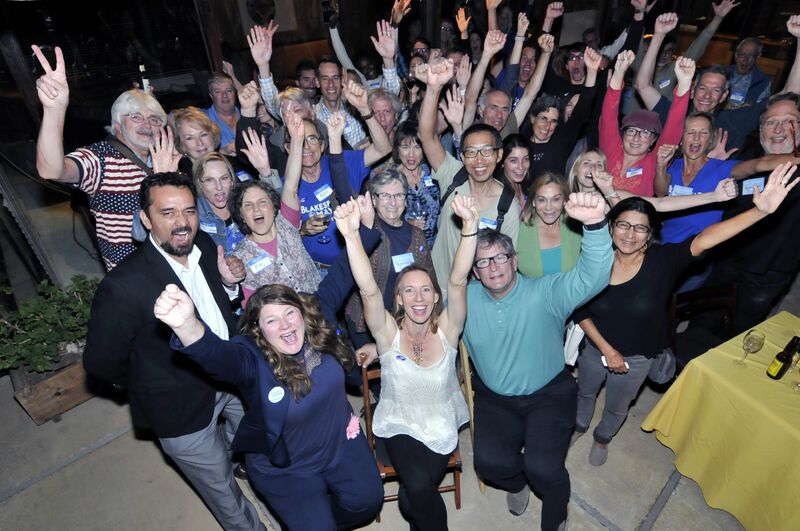 This morning it’s hard for me to feel celebratory given the outcome of the national election, but I’m humbled to my core for the outpouring of support from you that propelled our Encinitas mayoral campaign to such a decisive victory. There’s much to do in our mission to Preserve Our Paradise, and I can’t wait to start. All of the Encinitas results are in, and we ended up with a 2-to-1 lead – 67 percent to my opponent’s 33 percent. Just as important as the Mayor’s race is our City Council race, where the candidates we supported – Tony Kranz and Tasha Boerner Horvath – also won, coming in first and second with 23 percent and 22 percent, respectively. And congratulations to Mark Muir for snagging the third City Council spot. I expect this upcoming City Council to be able to work very productively and positively together. I want to recognize the efforts of my Mayoral opponent and the other City Council candidates, who love Encinitas as much as I do. They helped create the important election dialogue about the future of our city, and I hope they stay engaged with their good ideas for improving our community. No matter who you voted for, I want you to know that I intend to represent the needs of all the people of Encinitas. Bringing people of different perspectives together around a common goal is the highest goal of Mayor. My door will always be open, and as your new Mayor, I plan to do more listening than talking. Your confidence in me means so much. I will work hard every day to continue earning it.